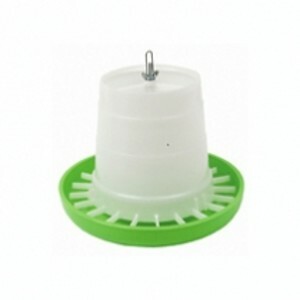 The Super Poultry Feeder Hopper is a very robust construction made from plastic. The tube and grid are moulded in one piece and the height of the tube can be adjusted to ease the flow of food. The feeder can be hung from a hook or stood on the ground.